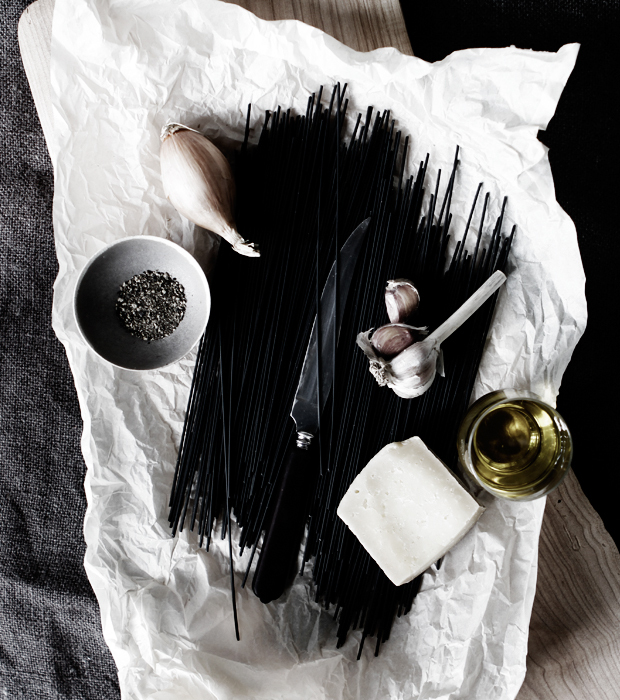 Le Marché St. George is stocking a beautiful squid ink spagetti, which is perfect for a quick fall dinner because all it takes is a handful of items. You'll need a good hard cheese, olive oil, garlic, onion, pepper, and of course a package of spaghetti al nero diseppia. We will be posting a menu inspiration based on this simple recipe soon. Yum! I love spaghetti al nero diseppia. It reminds me of Venice in Italy. Amore!